A prolific writer whose career spans more than 25 years, Donald has authored several pioneering books on mindfulness, beginning with his 1998 Art of the Inner Meal (HarperOne, 1999). 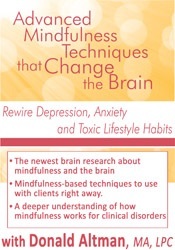 His book, The Mindfulness Code (New World Library, 2010) was named as “One of the Best Spiritual Books of 2010.” He has also authored The Mindfulness Toolbox for Relationships: 50 Practical Tips, Tools & Handouts for Building Compassionate Connections (PESI, 2018), Stay Mindful & Color: Find Calm, Clarity and Happiness (PESI, 2016), Meal By Meal (New World Library, 2004), Living Kindness (Moon Lake Media, 2009), One Minute Mindfulness (New World Library, 2011), The Joy Compass (New Harbinger, 2012), The Mindfulness Toolbox: 50 Practical Tips, Tools & Handouts for Anxiety, Depression, Stress & Pain (PESI, 2014) and 101 Mindful Ways to Build Resilience: Cultivate Calm, Clarity, Optimism & Happiness Each Day (PESI, 2015). In addition to his books, Donald was a staff writer for an EMMY-Award winning children’s television show (“The Magic Door,” CBS Chicago), won an American Medical Writer’s Association Award, co-created the first interactive comic strip on America Online, and has had articles appear in New Age Journal, the Los Angeles Times, and Independent Business Magazine, among others. 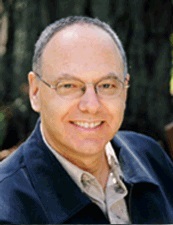 Financial: Donald Altman is in private practice. He is an Adjunct Faculty member of the Interpersonal Neurobiology Program at Portland State University. Mr. Altman receives a speaking honorarium from PESI, Inc.
Nonfinancial: Donald Altman has no relevant nonfinancial relationship to disclose.